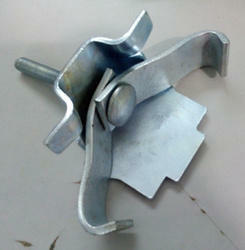 Prominent & Leading Exporter from Jalandhar, we offer pressed steel timber beam clamp. Catering to the demands of our clients, we offer wide assortment of Pressed Steel Timber Beam Clamp that is fabricated using optimum quality material. These fittings feature fast, efficient on-site installation and thus cater to the variegated demands of construction and engineering industries. Available in various sizes and dimensions, these Pressed Steel Fittings are well tested by our experts before dispatching them. Our clients can avail these Pressed Steel Fittings from us at competitive rates.